Children’s Literature at The Writing Cafe featuring the Mad Hatter’s Tea Party. 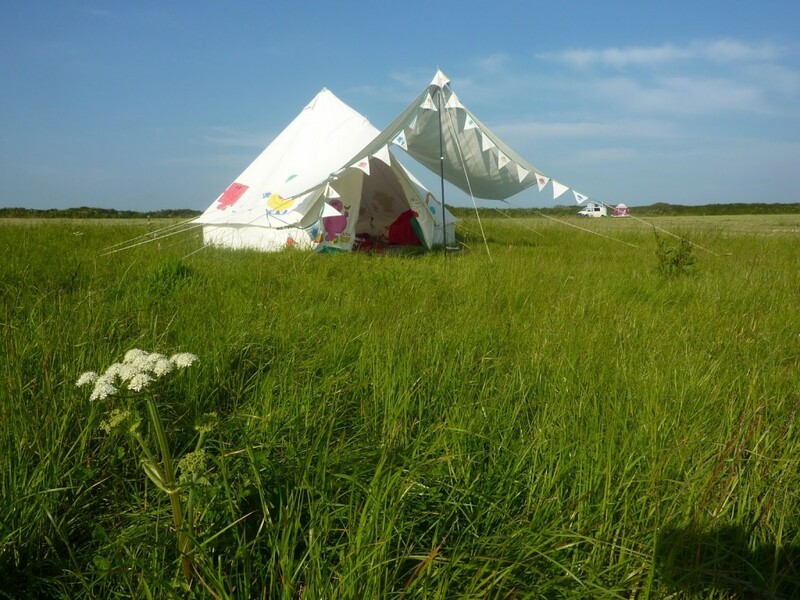 From 10 am to 10 pm on Tuesday 10th March The Writing Cafe will be transformed into a scene from Wonderland as they hold a Mad Hatters Tea Party. Discussing and concentrating on children books which have influenced us, from The Wind in the Willows to the great Roald Dahl. 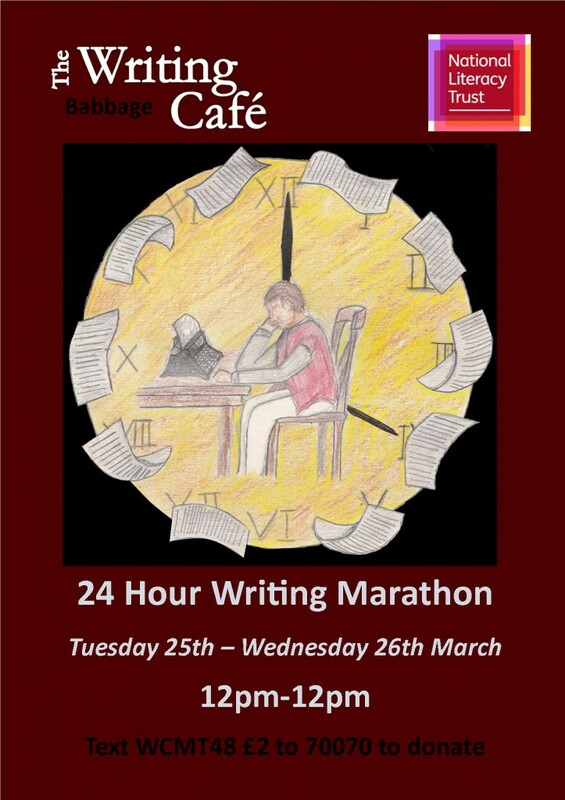 For 12 hours there will be someone continuously writing as they aim to raise funds for a local charity. 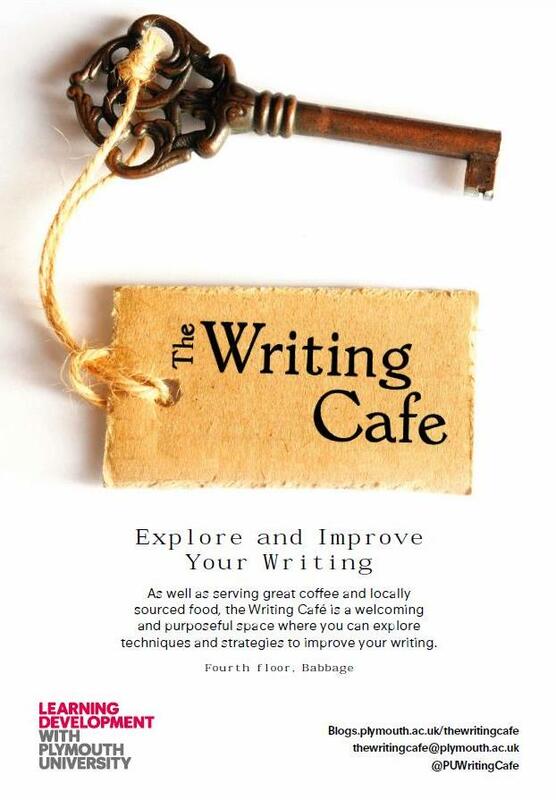 Part of The Writing Cafe’s manifesto is to dispel the myth of the solitary writer and encouraging writers to get together and write and this is just one step towards that goal. Throughout the day small events will be held, from talks to readings and from 5pm there will be an open Mic ran jointly with CrossCountry Writers. 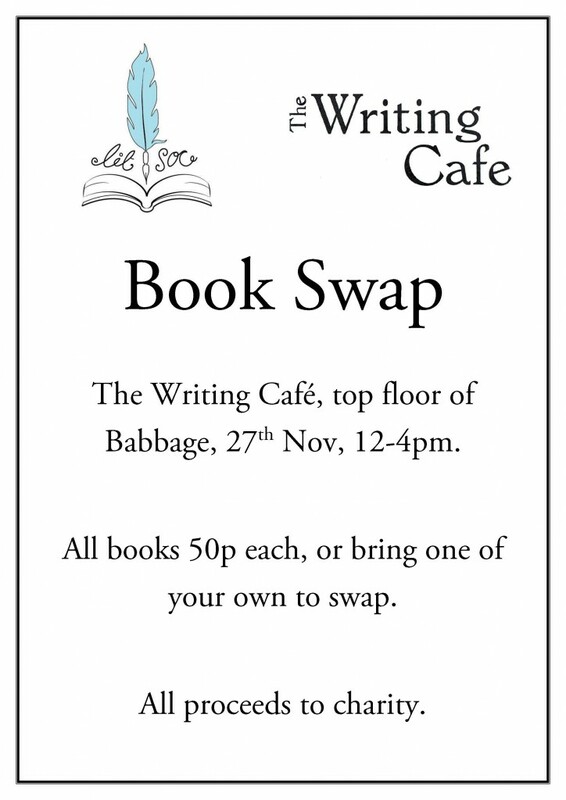 So if you love books or are a local writer please come along to listen, read or take part in writing. This entry was posted in Uncategorized on March 2, 2015 by christiepritchard. This entry was posted in Uncategorized on November 26, 2014 by christiepritchard. This entry was posted in Uncategorized on November 18, 2014 by christiepritchard. 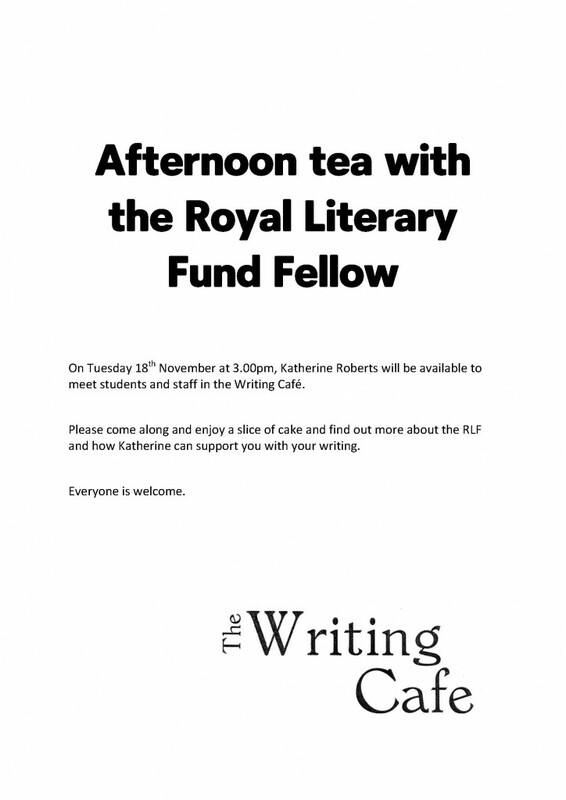 Come along to the Writing Café between 2-4pm each weekday to speak to a member of the Learning Development team or a Writing Mentor. This entry was posted in Uncategorized on October 9, 2014 by christiepritchard. 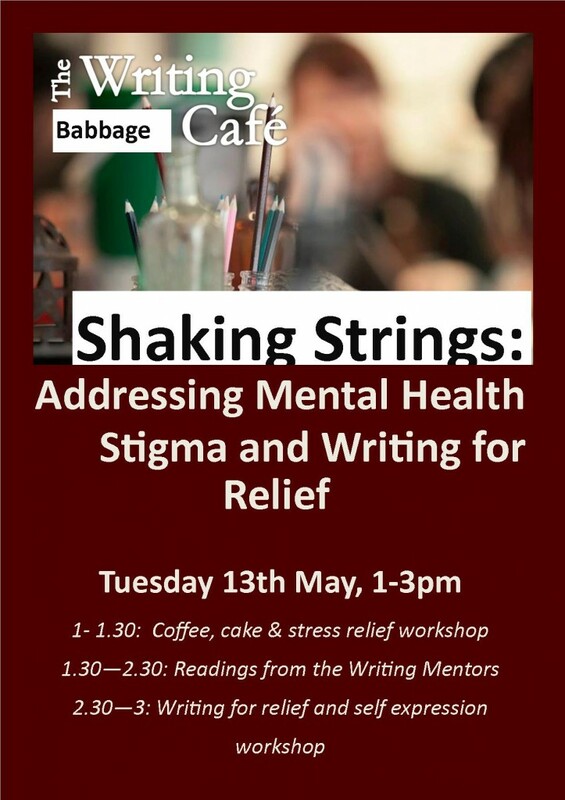 An event to raise awareness of mental health issues will take place in the Writing Café tomorrow from 1-3pm. 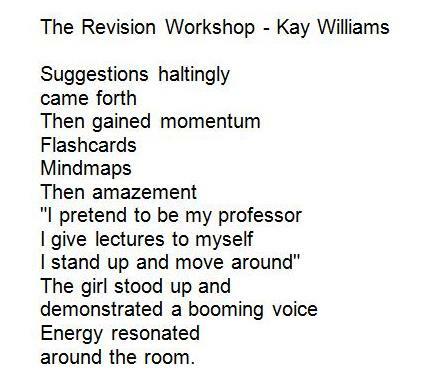 Some of our Writing Mentors will be reading work they have written about mental health issues and there will also be the opportunity to join in with some writing activities. This entry was posted in Uncategorized on May 12, 2014 by christiepritchard. Recently The Writing Cafe travelled to Huddersfield, for the annual Association for Learning Development in Higher Education conference. 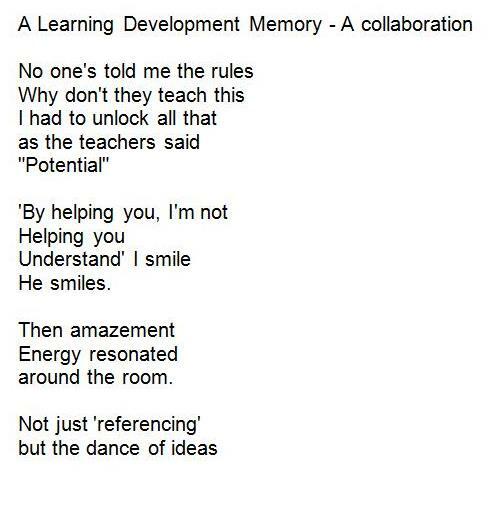 Attended by Learning Developers from around the world, I saw this as an opportunity to subject a group of strangers to Poetry for Non-Poets… Four Learning Developers were asked to write about a memory from work, and, along with my ideas, I collaborated our ideas into a sixth poem. This entry was posted in Uncategorized on April 28, 2014 by christiepritchard. 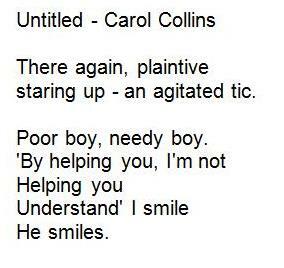 Thank you to Alyson Hallett, our Royal Literary Fund Fellow, who has just read out this piece to start the clock ticking. I think that this is what happens for all writers when we write. We come to dwell in possibility. Because when we face an empty page – which is never really empty because it already has a history, a story, a life that was once born in a forest or a wood, a history that includes a saw and pulping machines – perhaps is it better, then, to say when we face the white page, we begin to dwell in possibility. Dwelling in possibility means that anything can be written on the white page. A mountain range can be made. A man in a suit can be running towards the jetty at 9.15 a.m. in the morning. A baby is being born. A knife is being held at the throat of a ninety three year old woman who has always preferred rubies to emeralds. Every possibility exists on the white page, and we, the humble writers, come as guests to this place, to this location that is never mapped or given an ordinance survey reference number. And so I wish you well as you come to dwell in these possibilities, and, more than that, as you come to listen to whatever characters or places or things insist themselves into your minds and demand, or ask politely, to be written. And I wish you well as you write your thousand mistakes – for nothing can be created without mistakes – and as you write your thousand brilliant words too. This entry was posted in Uncategorized on March 25, 2014 by christiepritchard. This entry was posted in Uncategorized on March 20, 2014 by christiepritchard. 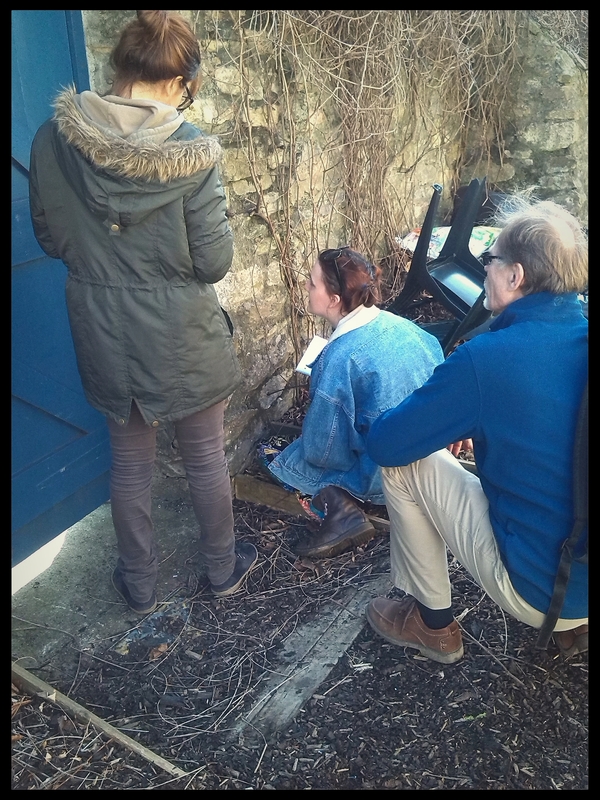 Last week Stacey DeAmicis took advantage of the lovely weather we’ve been having and ran the Nature Writing workshop outside for some added inspiration. 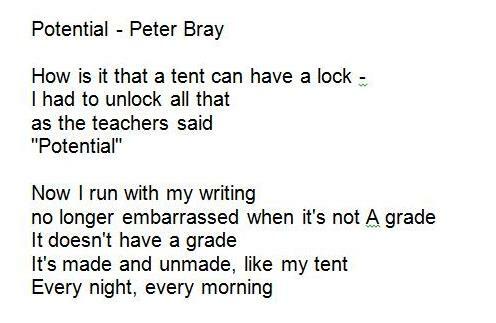 This piece was written during the Nature Writing session on 11/03/14. A large skeletal tree stood central to the far end of the garden, its spindly arms were outstretched and reaching up high into the vividly blue sky. I was immediately drawn towards it, mostly because I wanted to see if it was ‘climable’ but also because it appeared to be watching over the garden, protecting it, and it seemed rude not to go and see it up close. A towering stonewall stood to the left of the guardian tree, a barrier from the noisy world on the other side. It appeared to be extremely dull and uninteresting. Besides it is a wall, and walls are made to separate things, compartmentalise, they are not open to beauty or sharing. It was covered in a stick-like plant covered in intricate twirls, frozen in time, appearing to be grabbing at the air, searching for a handle to hold. Upon closer inspection, between the large greying stones and the crumbling concrete holding them together were small cracks and crevices. If enlarged they would not be dissimilar to large caves, and like caves they contained a variety of mysterious creatures. In a particularly long, thin crevice, snails hung from the roof, bat-like and silent. A small insect carcass laid crunkled on the floor below among the tiny stones and lichen. At the forefront of the crevice is a complex web, spun so delicately and it gently dances in the breeze. Everything here is still, and quiet, almost like there is no life here at all. In the far corner I notice a very large woodlouse. Its body reached to the ceiling of the crack and its extensive length meant that only half of it was visible. It was motionless. My curiosity overwhelmed me, so I carefully prodded the creature with a stick. Suddenly the crevice erupts into a flurry of movement. A group of tiny woodlice scurry out from behind the bigger one, as if they are ready to protect their large friend. This was not the case, in their panic they scatter themselves across the wall and move as far from the giant as possible. An ant scuttles along the wall and a small fly lands briefly at the entrance, as if they are checking out the situation, but they both decide it’s not worth the time and leave the scene swiftly. I notice the web starting to move, and I can see a small spider bouncing up and down, pouncing on imaginary prey. Having caused enough confusion in this crevice, I moved to the next. This was smaller than the first, and covered in green lichen, which leaked out of the crack and ran down the wall. In the centre was a circle of iridescent stones that glistened whenever a rare ray of sunlight kissed their surface, mimicking small diamonds. It looked like a tiny fairy tale scene. A group of woodlice huddle in the corner and small cocoon like structures cling onto the wall. They are more snails, so delicate and tiny. There is no movement here. Everything is still, basking in their small paradise. I cannot disturb this setting, so I leave having realised that this wall doesn’t separate the world from beauty. It is beauty. This entry was posted in Uncategorized on March 19, 2014 by christiepritchard. 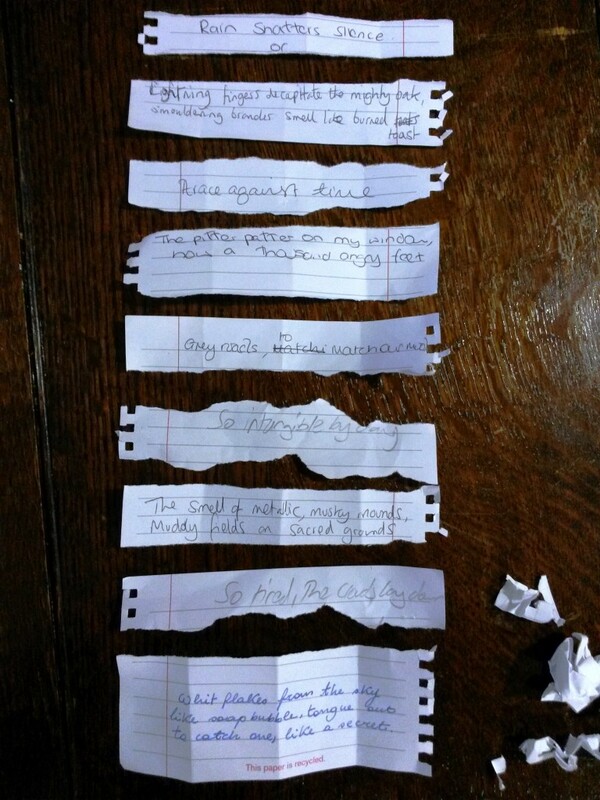 Today in the Poetry for Non Poets workshop participants were asked to focus on their senses, and they chose the theme of weather to write on. 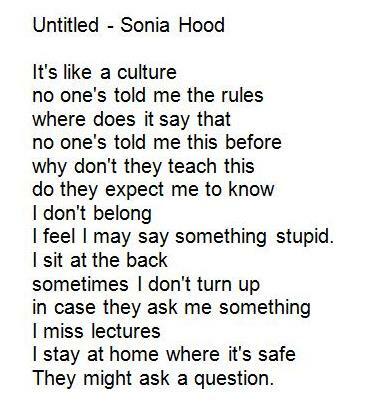 Their favourite lines were combined to create a collaborative poem using all sense. Lightning fingers decapitate the mighty oak Smouldering branches smell like burned toast A race against time. Now a thousand angry feet. So tired, the clouds lay down. White flakes from the sky, like soap bubbles Tongue out to catch one, like a secret. 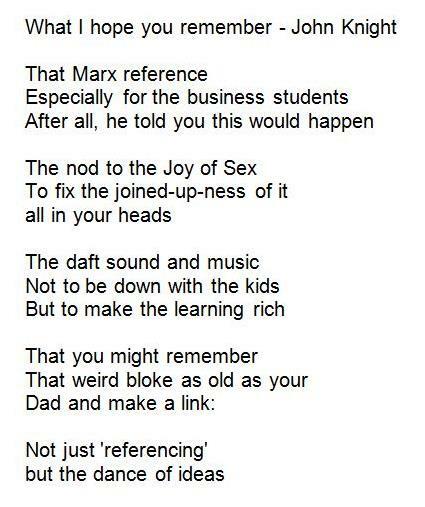 By Georgia Turner, Eleonora Caviello, Sara Smiles, Matt Ewens and Pete Bray. This entry was posted in Uncategorized on March 14, 2014 by christiepritchard. additional information on tire services on Look what has just arrived…….